Today one of the greatest challenges that the world faces is to allow people of different faiths, creeds, strata’s, communities to live together by celebrating the differences, which makes each individual unique. In a world that is becoming increasingly interconnected, we see ourselves facing the new and unusual every day. What could be more exciting than exploring this diversity by connecting students from ‘The Anugrah Foundation’ a school for the under privileged in Bharat Vihar, Dwarka to students of Westhoughton school, UK. With twinkling eyes the students at The Anugrah Foundation shared their experiences of this interaction with the school in UK. It was amazing to see the confidence that these children had and the capacity to engage in a meaningful dialogue. This all is the result of the education they are getting at Anugrah which aims at making them global citizens. 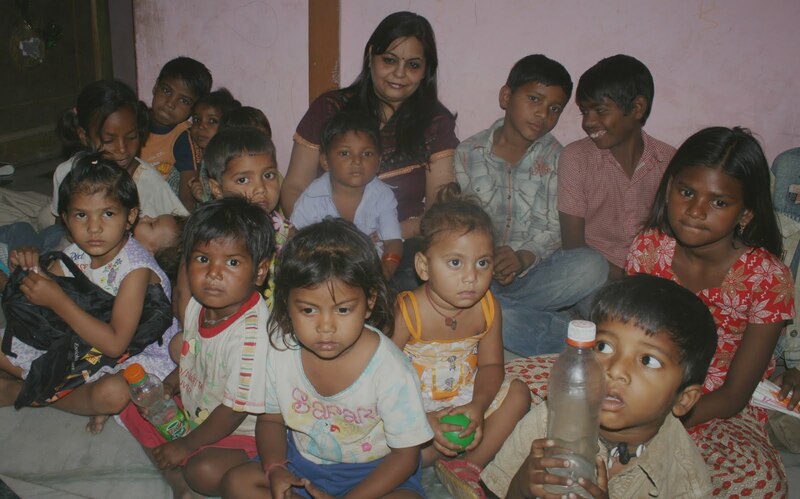 The Anugrah Foundation is a school for underprivileged children from the Basti (Slum Area) of Bharat Vihar, Dwarka. The educational initiatives for underprivileged children include Crèche and Pre-school [3-6 yrs], Non Formal Education [6-14 yrs non-school going]. The Anugrah Foundation aims at giving an enabling environment to these children in which they can learn and grow. The school is located in a deprived community, who belong to the lowest rung of society comprising of sweepers, rickshaw pullers, daily labourers, hawkers. Children from these families lead a carefree life spending the day wandering about streets and market places, and odd places sometimes looking for a job or fending for themselves by means of antisocial activities or looking after their siblings at home. The aim is to transform the lives of such children by empowering them with Education. A non formal education centre is established for providing quality education to the deprived / underprivileged children & addresses the nutritional & other health care needs. They are also provided Life Skill Education on issues like personality development, confidence building, behavior & etiquette, health & hygiene, values, good habits, & social concerns, & other related issues. English, Hindi, Mathematics, Social Studies and EVS form the main subjects of curriculum. All the children under the project are provided with supplementary nutrition in the form of mid day meals regularly to help them cope with the problem of malnutrition. Hence, most of the children under the project enjoy good health. They are also being given training on art, craft, dance and drama through workshops and cultural programmes. Schools from Dwarka like Bal Bharati Public School, JM International School, OPG World School and Sri Venkateshwara School, Sector 18 have come forward in embracing and supporting The Anugrah Foundation. The idea is to educate the whole family and hence The Anugrah Foundation is also working in the area of women empowerment. The women are taught skill based vocational courses like Stitching and Tailoring and Mehendi Application right now. “We are also looking at starting a Jewellery making and candle making courses for women so that they will be able to earn a sustainable income.” says Kher. Volunteers are needed and your donations are welcome. Every drop counts. For further information please contact at theanugrahfoundation@gmail.com. “अनंत की ओर “ उभरते हुए कलाकारों के लिए एक सुनहरा मंच !